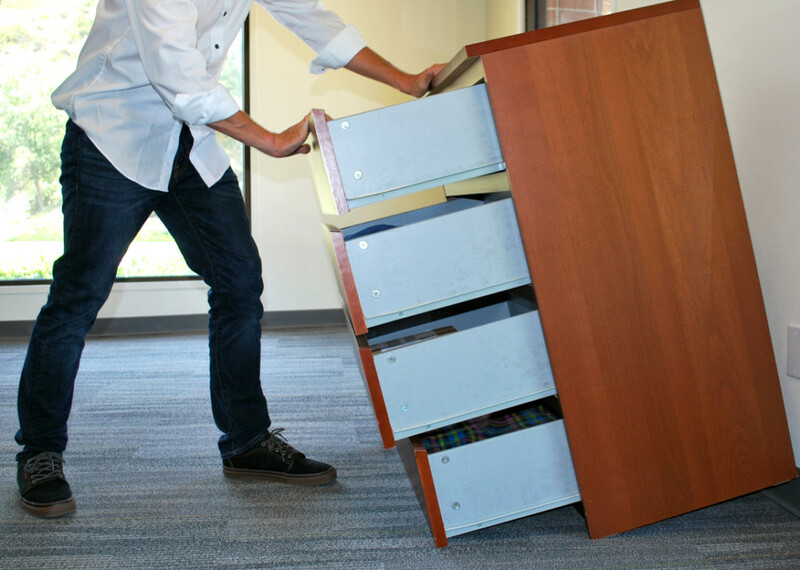 Do you have this kit at home to protect your furniture from tipping over? If you don’t think that furniture tipping over is a danger you have to worry about, learn of the numbers, and you’ll think twice when someone warns you of the dangers. Every year, thousands of children are injured by furniture tipping over. Every two weeks, a child is killed by a tip-over. The stats, which come from the Consumer Reports (CR) and the Consumer Product Safety Commission, reveal there were 195 deaths caused by tip-overs between 2000 and 2016. CR also reported that in 2016, 2,800 incidents of injury to children from a falling piece of furniture occurred—a 33 percent spike from 2015. Dresser tip-overs are the biggest culprit, with children pulling out dresser drawers to climb on them. Even the sturdiest dressers can fall forward. CR’s investigation came on the heels of a 2016 voluntary recall of 29 million dressers and chests by IKEA, due to six children being killed as a result of the pieces falling on them. But what’s causing furniture to fall so easily? As for the IKEA dressers and chests, it seems the current safety test is voluntary for manufacturers. And while consumers may think the safest products are shorter or heavier pieces, the study from CR reveals it’s impossible to pick a safe dresser on the showroom floor. CR’s investigation tested 24 dressers from several manufacturers to determine where the problem lies. All drawers were opened for the first test, while the top drawer was left open with a 50-pound weight hung on the front of it for the second test. For the third test, the study repeated the second test, then added weight in 1-pound increments until it reached 60 pounds. The results revealed that five of the dressers failed both tests two and three, and six failed only the third. Thirteen of the pieces passed all three. “You cannot judge a dresser—whether it’s going to be tippy or not—just by looking at it,” James Dickerson, Consumer Reports’ chief scientific officer, said, calling it “extremely difficult” for parents to determine what makes a dresser safe. In fact, one $200 dresser made by South Shore, which was less than 30 inches tall and weighed more than 100 pounds when empty, fell forward when 50 pounds was applied to the top shelf. However, a taller, lighter and cheaper dressed from Sauder Page was stable with 60 pounds applied. He also encourages consumers to remove all items from the tops of dressers. “No TVs, no games, nothing that would encourage a young person … to try to climb up on the dresser,” Dickerson said. IKEA agrees, and now includes wall-mounting kits to promote dresser safety following the recall. However, over the past few years, not all parents have been made aware of the alarming stats, nor given proper information on the importance of anchoring. For more safety tips, check out this safety gear every DIYer should own. Check out these incredible IKEA hacks employees won’t tell you about. Here’s how to prevent injuries when you’re working with tools.